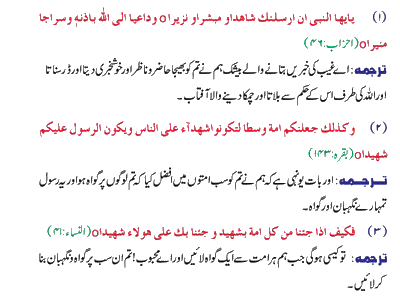 Hazrat Mujadid Alif Sani was a great Muslim saint and mystic of the Nadshbandia order. He challenged the might of Akbar, the great Mughal emperor, to re-establish to glory of Islam which had been gravely threatened by the anti-Islamic trends of Akbar. 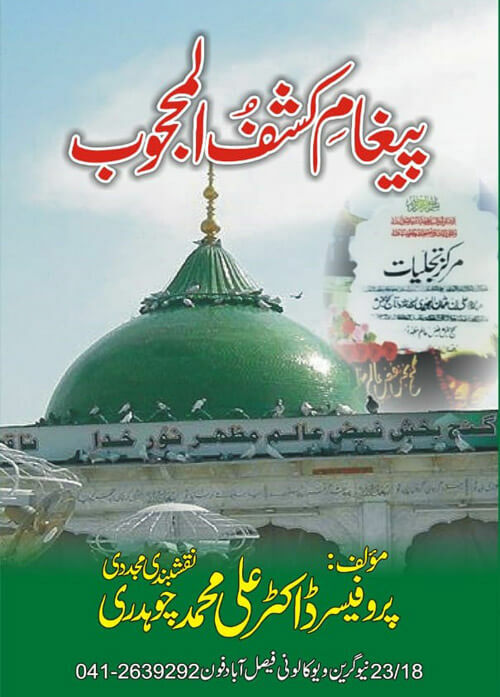 Hazrat Mujadid Alf Sani, whose real name was Sheikh Ahmad title name was baddrudin a descendant of the second pious Caliph Hazrat Umar lbn Al Khatab for which he was also referred as Farooqi. 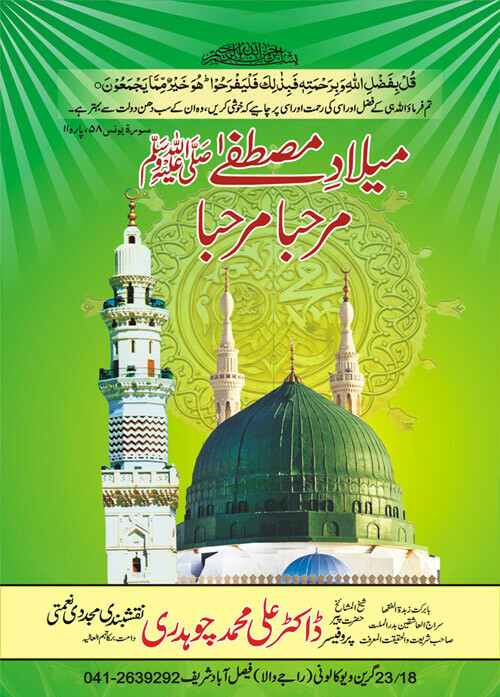 He was a prominent disciple of Khawaja Baqi Billah, an eminent saint of the Nadshabandia spiritual order. Sheikh Ahmad was drawn into mysticism by his father. Sheikh Abd-al-Ahad, a prominent Sufi and scholar. 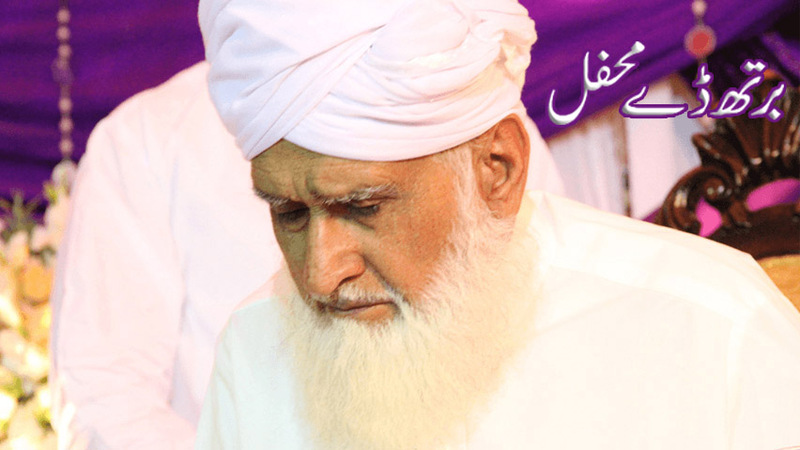 He received Khilafat from his father in the Chishtiya and Suhurwrdiya spiritual orders. He is popularly known as Mujadid-i-Afli-i-Sani (Receiver of Islam during the second Millenium). Sheikh Ahmad was born on June 26, 1564 at Sirhind, the Capital of Eastern Punjab during Mughal rule. He received education under the most prominent and learned teachers at Sialkot and Sirhind. He memorized the Holy Quran and then switched over to the study of Hadith, Tafsir (commentary) and Ma’qual (philosophy). He traveled from place to place to benefit from the renowned scholars. During his wandering to quench his thirst for the mystical knowledge he came into contact with the leading lights of Akbar’s court Abu-al-FazI and Faizi. When Abu-al-FazI and Faizi learnt of his brilliance and extraordinary mystical insight, they tried to draw him into the Court of Akbar. However, Sheikh Ahmad’s connection with the celebrated brothers Abu-al-Fazi and Faizi did not prolong because of Abu-al-Fazlis Lin-Islamic trends. Sheikh Ahmad wrote his famous book, lsbat-un-Nabuwwat (affirmation of prophet hood) in which he gave an excellent explanation of the prophet hood. When Sheikh Ahmad began his reform movement Akbar was ruling the sub­continent and his anti-Islamic outlook had aggravated the social environs. Akbar had no leanings towards Islamic principles and tenets. He promoted Hinduism by marrying Hindu ladies and by allowing free access to the Rajputs and Hindus in his court. He also appointed Hindu Rajputs on higher civil and military positions. The introduction of Din-i-Ilahi by Akbar was a grave attempt to distort Islam. He assumed the title of Mujadid-i-Azam and Imam-i-Adil and issued orders pertaining to the religious matters which were to be considered as authentic and final, The impact of Din-i-llahi greatly affected the Muslim beliefs and trends. It split the Muslim society into several factions and promoted heretic attitudes and practices. 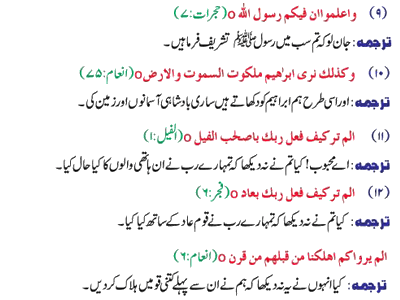 At that time Muslim society was ridden with un-Islamic practices and trends. Under the Hindu influence: a firm and widespread belief in Karamat (miracles of the saints) had developed in the society which greatly misguided the innocent people. In Sufism many means of developing magical and supernatural powers, alien to Islam, had been developed. The mystics and Sufis of those days openly denied the authenticity of Sharia by declaring Sharia (the law of Islam) as superficial and external. They even proudly manifested their indifference towards the Sunnah or Examples of the Prophet (peace be upon him). The ulema and theologians ceased to refer to the Duran and Hadith in their commentaries and considered jurisprudence as the only religious knowledge. By these trends the religious spirit excessively diminished and gave rise to the juristic view of Islam. Sheikh Ahmad was greatly opposed to the atheism and openly denounced un-Islamic society. 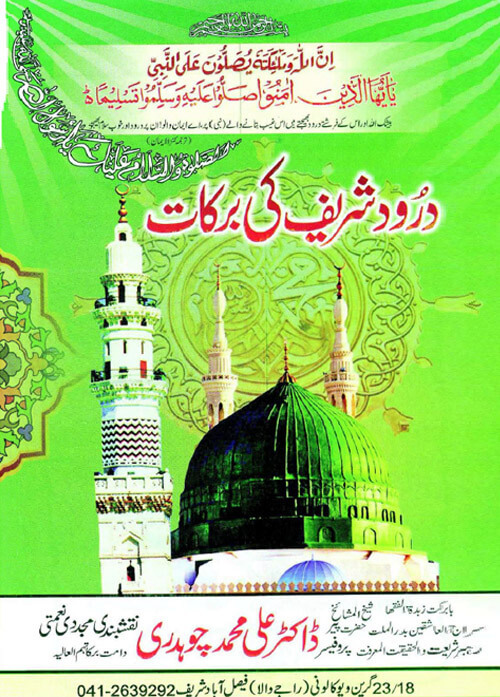 He worked very hard to restore the original teachings of Islam and emphasized on the concept of Tauheed. Fie exposed the fallacy of Din-i-Illahi and came out with full vigour to curb the influence of this satanic creed. He urged the Muslim to order their lives according to the principles of Islam. He declared that mysticism without Shariat was misleading and denounced those Ulema who had questioned the authority of Shona. Sheikh Ahmad stressed on the Muslims to revert to the purer Islam by giving up heretical customs and practices. He laboured diligently to settle the differences between the scholoars and the mystics. He initiated the leading nobles near the emperor into his discipleship and through them exerted an influence to bring about a change in the life of the Court, He was able to enlist Abdur Rahim Khan-e-Khana, Khan-i-Azarri Mirza Aziz and Mufti Sardar Jehan, the most influential personalities of Akbar’s era into his discipleship. He also persuaded the great men of Jehangir’s period to take an oath of Allegiance at Sheikh Ahmad’s hands. In the time of Jehangir Sheikh Ahmad was successful to a greater extent to extract a solemn undertaking from the Muslims that they would not obey any orders repugnant to Islam. Sheikh Ahmad adopted an effective method of persuasion by writing letters to the leading nobles of the royal court. He began addressing letters written in a language, which would move mountains, to leading nobles of the state, bemoaning the sad state in which Islam had fallen in India, and reminding them of their duty. His letters are known as Muktubat-e-Imam Rabbani and were addressed to, besides other leading nobles: Sheikh Farid, Khan-i-Azami Sadr-i-Jehan and Abdul– Rahim Khan-e-Khana. Sheikh Ahmad persuaded the Muslims to adopt simple habits in life and to strictly adhere to Narnaz. 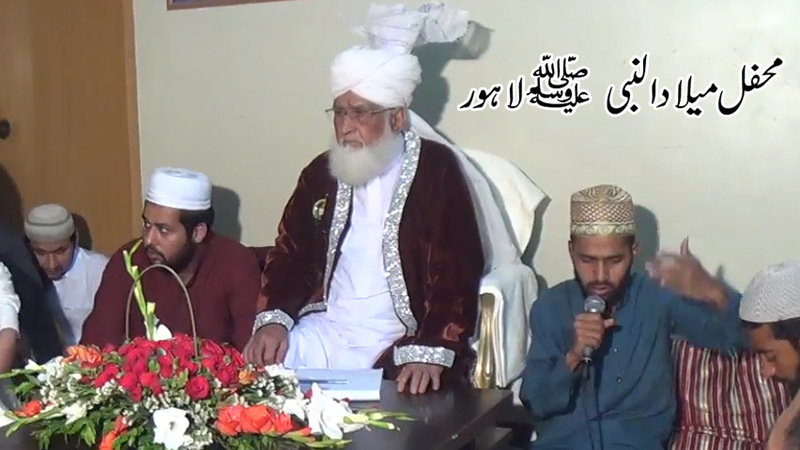 He also explained the utility of Fasting and declared that fasting protects the mankind from many sins, His efforts contributed a great deal towards the popularity of Islam in the sub-continent. Sheikh Ahmad was a staunch advocate of the separateness of the Muslims and desired to maintain the distinctive image of the Muslim Nationalism. He laid great emphasis on the separate identity of the Muslims and adopted a very stern attitude against the Hindus. Sheikh Ahmad firmly believed in Two-Nation Theory. He was in favour of maintaining the differences between Hindus and Muslims. He wanted Jizya to be re-imposed on Hindus and demanded the destruction of Hindu temples. 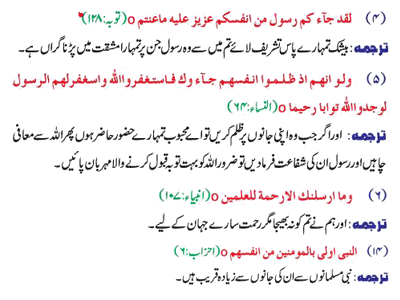 The philosophy of Wandat-ul-Wajud was presented by some Sufis of Akbar’s time. They believed that the entire Universe is the symbol of Almighty God and a source of revelation of God’s sovereignty. 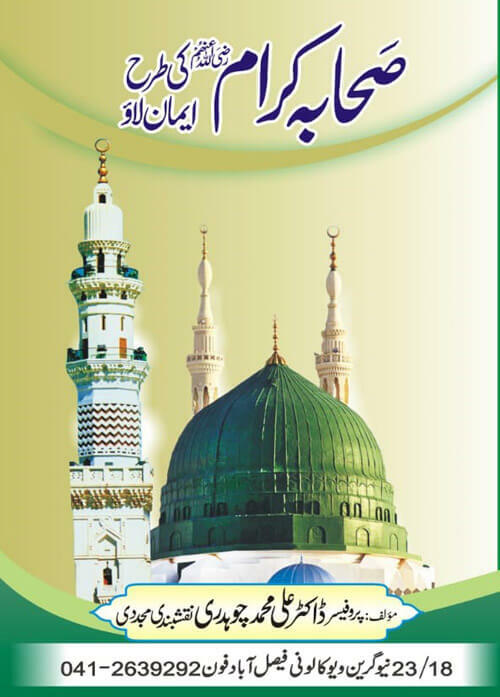 The advocates of Wandat-ul-Wajud believed that there was no living difference between the Man and his creator God and both individual and God are not separated from each other. They also believed that every particle of the universe represented the presence of God and, therefore, the worship of God’s creature amounted to the worship of God. Sheikh Ahmad openly negated this philosophy and declared it as ultra vires to the principles of Islam. 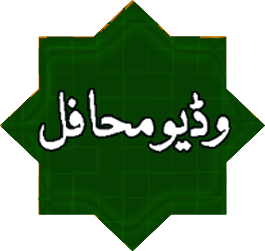 He presented his philosophy of Wandat-ul-Shahud which meant that the creator and creatures were two different and separate entitles. Sheikh Ahmad also dealt with matters, other than religious revival in his letters. This policy drew him into serious difficulties. Asif Jab, the Prime Minister of Jehangir’s court alerted Jehangir of the mounting popularity of Sheikh Ahmad by inciting the Emperor that Sheikh Ahmad’s anti-Hindu views were creating unrest in the country_ Jehangir summoned Sheikh Ahmad to his court and asked him to explain his statements, Sheikh Ahmad appeared in the royal court in a highly dignified manner and explained his statements in a courageous style. Someone pointed out to Jehangir that Sheikh had not performed that act of Prostrations. When he was asked to perform Sajdah was only due to Almighty God. Jehangir, infuriated over this blunt reply ordered the Sheikh to be imprisoned in the Fort of Gawaliar. Sheikh Ahmad did not shirk his preaching of Islam during his in7risonment. After two years, Jehangir feeling repentful, released him from the fort and venerated him with a dress of Honour and 1000 rupees for his expenses. He was given the option of going back to Sirhind or remains in the royal court. Sheikh Ahmad preferred to stay in the royal court. In order to popularize Islam a number of Muslim reformers and revivers adopted a liberal point of view in their preaching so that a large number of people could be attracted toward Islam. They, however, were successful to a great extent, but at the same time this liberal approach gave rise to the concept of joint nationalism. This trend proved injurious to the separate and distinct national image of the Muslims. The efforts of Sheikh Ahmad to purify the religious and practical life of the Muslims left an indelible impact on the history of Muslim India. Allama lobal poet-philosopher of the East has paid rich tributes to Sheikh Ahmad in one of his poems for refusing to perform the act of prostration before the emperor. 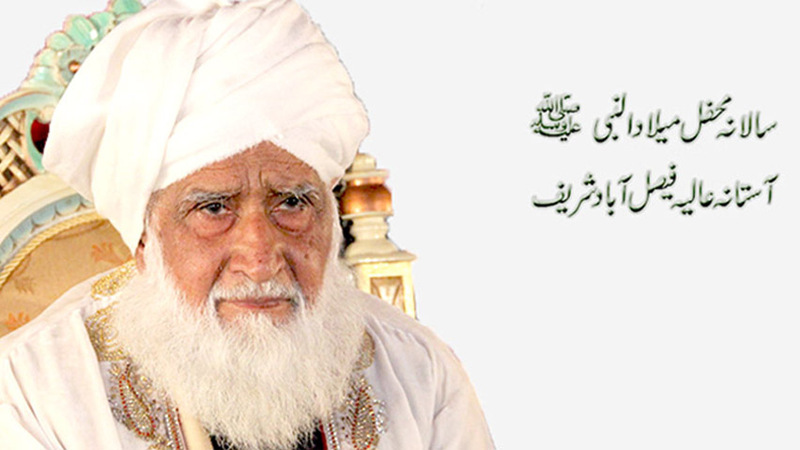 Allama lobal considers him as the spiritual guardian of the Muslims of India. His movement for the cause of Islam gave a new life to the Muslims and is regarded as the call back of Muhammad, which left far-reaching impact In religious and practical fields. After living for three years with the emperor Jehangir, Hazrat Mujadid sought permission to leave for Sirhind. He passed away on December 10, 1024 A.D. and was buried in Sirhind. 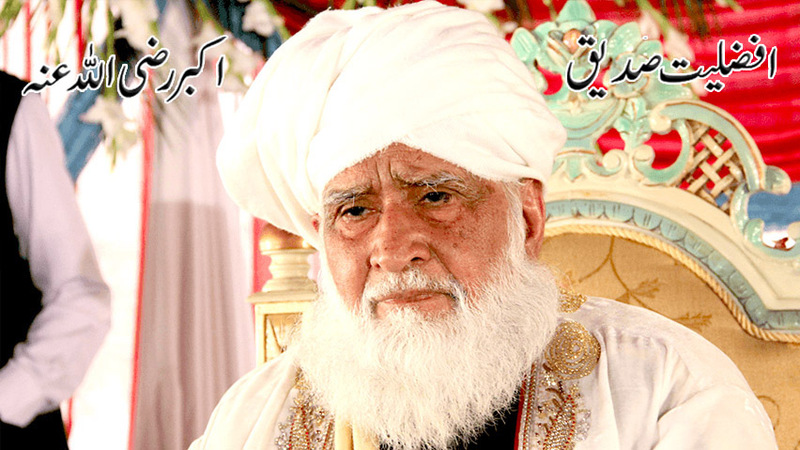 Sheikh Ahmad, till the last breath of his life continued with the propagation of Islam. He drew a distinction between Islam and atheism. He considerably prevailed upon Jehangir to alter his religious view and abandon his father’s religious policies. Jehangir under the influence of Mujadi’s preaching, order Khutaba (holy sermon) to be recited and cow slaughter to be carried out as required by Islamic principles, Jehangir also agreed to the construction of a big mosque on the advice of Mujadid. 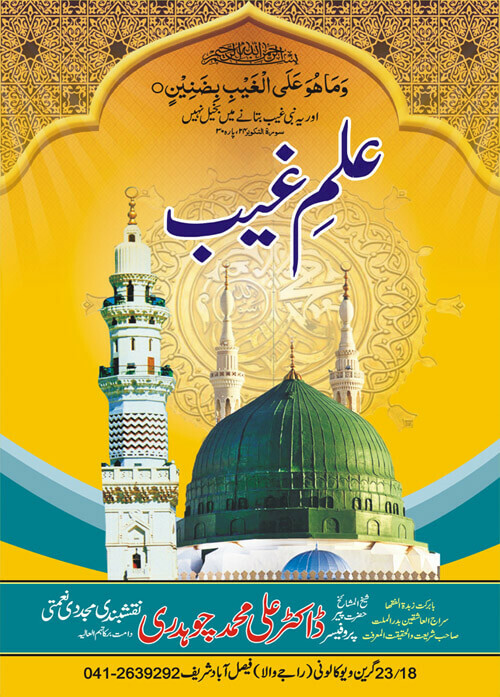 Hazrat Mujadid Alf Sani was the most powerful religious personality in the history of India. He was a widely read scholar and a magnetic orator. He got an opportunity in a liberal atmosphere in Jehangir’s reign to use his powerful pen to denounce Akbar’s religious innovations. Mujadid Alf Sari was the only individual in the history of India who opposed Akbar and thereby invited his wrath. He is considered as the pioneer of Muslim Self-assertion by denouncing un-Islamic practices. 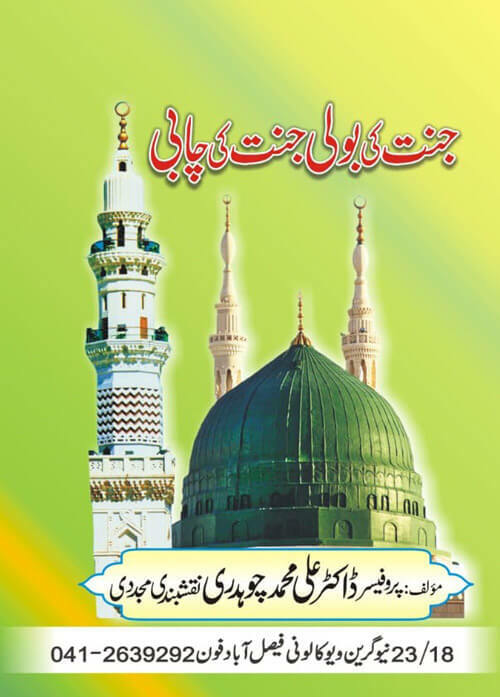 In short Hazrat Ivlujadid-e-Alafsani checked the pressure of non Islamic customs, converted a great number of Hindus to Islam, provided pure Islamic teachings and eradicated the wrong ideas of so called Mystics. We can say that he was the first person who understood the Hindu amalgamation in Islam and purifie it.